Russell also takes exception with Berkeley’s concept of “ideas.” While the latter was correct in applying subjectivity to our perceptions, by no means does this translate to a world whose existence is solely dependent upon those perceptions. According to Berkeley, that which is not perceived does not exist, even if that perception is only in the mind of God. But Russell discusses knowledge of “acquaintance” concerning the data of our outer and inner senses. This is an important concept in The Problems of Philosophy because of knowledge. 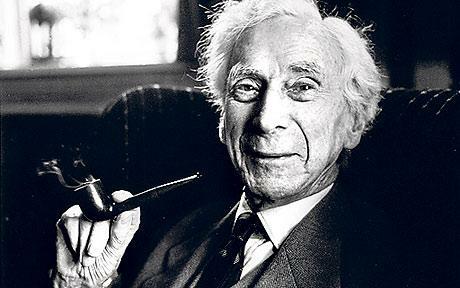 For Russell, “The chief importance of knowledge by description is that it enables us to pass beyond the limits of our private experience.” All knowledge that something exists must in part be dependent on experience. This is the ground for Russell’s inductive reasoning where both experience and a priori principles are required for proof. As a result, the mathematician gives credit to Immanuel Kant for locating an a priori knowledge that is not purely analytic. He also pays homage to Plato for his theory of universals. According to Russell, “all truths involve universals, and all knowledge of truths involves acquaintance with universals.” The “being” of these universals is independent of their apprehension in the mind. Nor is their “relation” dependent upon thought, but belongs to the independent world which thought apprehends. Russell divides knowledge into two broad categories: knowledge of things and knowledge of truth. He asserts, “a belief is true when it corresponds to a certain associated complex, and false when it does not… this complex unity is called the fact corresponding to the belief. Thus a belief is true when there is a corresponding fact, and is false when there is no corresponding fact.” This of course renders metaphysics invalid due to the lack of factual proof. Conversely, natural laws such as gravity are rendered highly probable by a combination of experience and some wholly a priori principle, such as induction. Intuitive knowledge, the source of all other knowledge of truths, is composed of two sorts: (1) pure empirical knowledge and (2) a priori knowledge. The latter offers connections between universals and enables us to draw inferences from the particular facts given in empirical knowledge. Russell’s work is aimed precisely at the field of knowledge itself. According to him, “Philosophy, like all other studies, aims primarily at knowledge.” The unity of scientific systems, though not achievable per se, will remain the aim of philosophy for as long as man wills to know the universe in which he lives. the greatness of the universe which philosophy contemplates, the mind also is rendered great, and becomes capable of that union with the universe which constitutes its highest good.” This pantheistic vision is the telos for the “citizen of the universe” Russell wishes to become. It’s a naturalistic vantage point that exalts the universe itself as God. This kind of rhetoric is also pervasive in Russell’s Religion and Science (1935), where he remarks concerning the Copernican Revolution, “the dethronement of our planet from its central position suggests to the imagination a similar dethronement of its inhabitants.” To Russell, anthropology is subservient to cosmology. This is probably why he distinguishes psychology as the “least advanced” of the scientific departments of knowledge. However, after such an incisive little book on the deep problems of philosophy, the only thing more muddling than the unanswered questions is the reason Russell wishes to keep them unanswered. It’s in the close of the book that the author reveals some of the inherent mysticism that he dabbled with throughout his life. For Russell, the chasm between creature and Creator is obliterated in a naturalistic divinity of sorts. Russell states quixotically, “The value of philosophy is, in fact, to be sought largely in its very uncertainty.” The premise of the book is that the value of a field of study should not be founded on any kind of “definitely ascertainable knowledge.” The statement is as shocking as it is confusing. Russell also states, “We cannot, therefore, include as part of the value of philosophy any definite set of answers to such questions.” To Russell, philosophy would not be philosophy per se without an ounce of intrinsic uncertainty: “Thus, to a great extent, the uncertainty of philosophy is more apparent than real: those questions which are already capable of definite answers are placed in the sciences, while those only to which, at present, no definite answer can be given, remain to form the residue which is called philosophy.” For Russell, philosophy is a recycling bin for the unanswered questions of science. And for him, this is no doubt an expedient for such a book as The Problems of Philosophy.